I’ll be honest with you folks, I’m still working towards getting the “want to” to finish losing weight. So, I enjoy posting things on Monday that motivate me, hoping it will all pile up into enough motivation to get me moving down the scale consistently. For today…good weather is a great motivation to exercise, and for me that means to run! 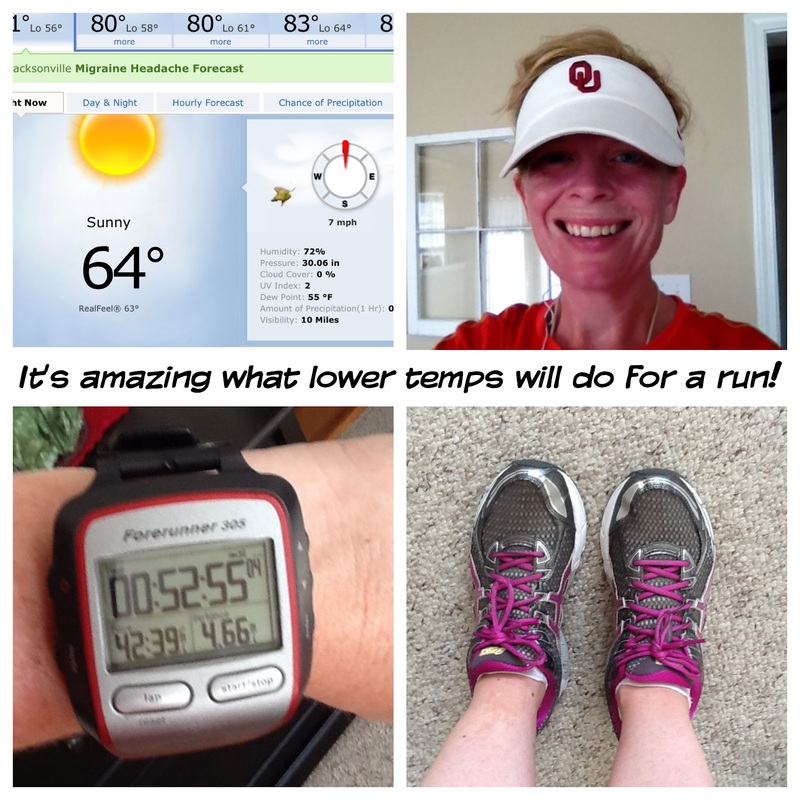 I was planning a long run today and was thrilled when I saw it was only 60 degrees when I took the kids to school. By the time I headed out it had warmed up a little, but just a little. After my legs woke up (another story for another time) I really began to enjoy my run. It was lovely and I made good time. Oh, and one more thing that was motivating about this run and the good weather….there was a slight wind. Wind used to scare me when I would run in Oklahoma. It slowed me down so much, and when I was barely running a 12:00 minute mile pace I felt like a turtle trying to slog it’s way through mud. It was so vexing. In fact, I always preferred running on a treadmill versus outside because of the wind. Yes, it’s motivating to know that there are things that used to scare me, but no longer do. Glory! Okay, well I really do need to go now. I need to get showered and get on with some errands and daily to-do’s that fill up my stay-at-home mom’s day. Haha – I hate exercising in the wind, especially biking! I get whiny 😀 Good for you embracing that!